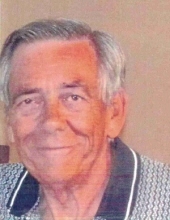 Vernon L. Trimble, 78, of Scottsdale, AZ died at his home on November 9, 2018. He was born October 19, 1940 at Pierre, South Dakota. He graduated from Pierre High School in Pierre, SD in 1958 and then received his BS in Civil Engineering from South Dakota State University in 1962. In 1976, he passed his Professional Engineer Exam. He served in the United States Air Force from 1962-1968. He then served in the Illinois National Guard Air Force Reserve Order EK-4194 from 1974 to 1990. He married Darla D. Waldo on August 18, 1967 at Lincoln, Nebraska and they lived in Illinois. He worked for TWA Airlines, Christian-Roge and Associates, Midway Airlines, Braniff Airlines, Air Aruba and Spirit Airlines. He was a former member of Bethany Lutheran Church of Crystal Lake, Illinois. In 1998, he moved to Scottsdale, Arizona and worked for Spirit Airlines. He was a member of New Covenant Lutheran Church in Scottsdale. He enjoyed flying airplanes, pheasant hunting in South Dakota and fishing. Survivors include one daughter, Sarah Frazier and husband Doug of West Monroe, LA; one son, James Trimble of Scottsdale, AZ; one granddaughter, Shiloh Phillips; one step-granddaughter, Bailey Frazier; two brothers, Donald Trimble and wife Joni and James Trimble and wife Wanda all of South Dakota; one sister-in-law, Carmen Trimble of Tennessee; nieces and nephews. He was preceded in death by his parents, Murel L. and Ella S. Herren Trimble; his wife, Darla, who died on October 20, 1992; one daughter, Darby, who died in 1972; two brothers, Murel E. Trimble and Arthur R. Trimble; one sister, Vada E. Trimble. Graveside services and burial will be held on Friday, November 16, 2018 at 1:00 P.M. at the Oak Grove Cemetery of DeWitt, NE with Pastor Sean Koos officiating. A memorial has been established to the Vernon L. Trimble Scholarship in Civil and Environmental Engineering at South Dakota State University; c/o Jeff Nelson, Head of Foundation; 605-697-7475. Military honors will be conducted by Nebraska Military Funeral Honors. www.foxfuneralhome.net Fox Funeral Home of Beatrice, NE in charge of arrangements. To send flowers or a remembrance gift to the family of Vernon L. Trimble, please visit our Tribute Store. "Email Address" would like to share the life celebration of Vernon L. Trimble. Click on the "link" to go to share a favorite memory or leave a condolence message for the family.